In Mexico, the poinsettia is called flor de la Nochebuenao flower of the Holy Night. At Christmastime, the flower blooms and flourishes, the quite exquisite red stars lighting up the countryside. 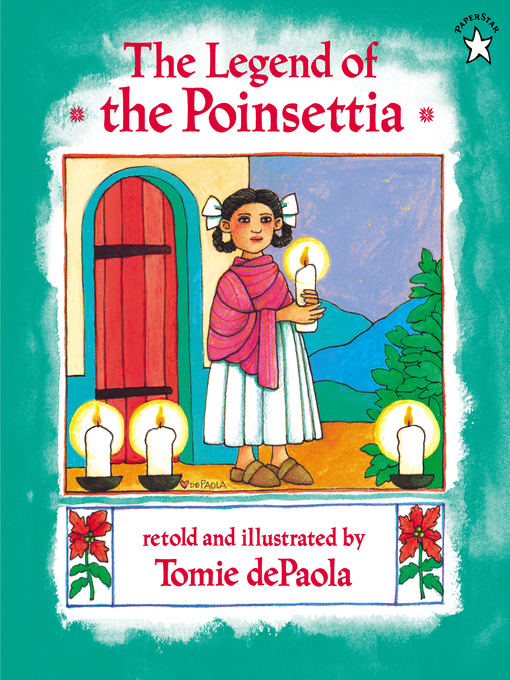 This Mexican legend tells how the poinsettia came to be, through a little girl's unselfish gift to the Christ Child. Beloved Newbery honor-winning author and Caldecott honor-winning illustrator Tomie dePaola has embraced the legend using his own special feeling for Christmas. His glorious paintings capture not only the brilliant colors of Mexico and its art, but also the excitement of the children preparing for Christmas and the hope of Lucida, who comes to see what makes a gift truly beautiful.